High or low fantasy and Star Wars. Max Word Count: I prefer there to be none. I generally write between 150-500 words. What I want: I would like a mature community that is open to creativity and doesn't demand rapid posting. What I do not want: Rapid posting or staff responsibilities. Other information: I am direct and passionate. When I find a home I am loyal and dedicated to the site and community. Not sure if you might be into it but Essence of Horhsal has both low and high fantasy elements, a big world and a lot of features. Most of it is explained in our beginner's guide. You might find yourself happy and at home with Marked! I don't have a lot to go on but we sport all of your important mentions such as: high fantasy (original world), no word counts, welcoming of creativity, rapid posting is not a thing here, we are a mature community, and we advertise ourselves as those things and fully pride ourselves in delivering them. I have a snazzy graphic and you are always welcome to jump over to the site, link is in my signature. Hi King Huey! You might be interested in Nightborn if you're into fantasy! Nightborn is a low fantasy roleplay set in a world inspired by Celtic folklore, but also in small parts by video games like the Witcher. Knowledge of either of these things isn't necessary though because Nightborn's world is an original one. 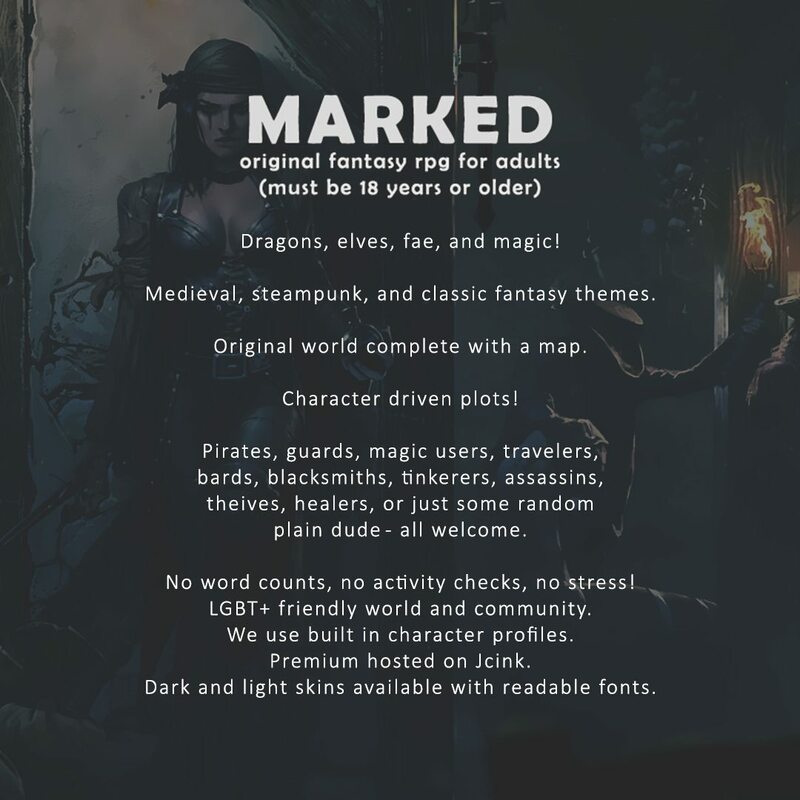 We're an 18+ community and our activity requirements for non-canon roles are at least one in-character post per two weeks. Nightborn is highly character-driven. We have a main, overall plot that you can either be involved in or not really at all depending on your preference. We have multiple subplots with the option of creating your own. Thank you both for the reply. I've looked over the sites and they're both creative and open in different genres. They're not going to be a for me though. I do wish you both luck in the continued success of your sites! Not sure if you are into Modern Fantasy, but if you are I have just the site for you, (if not disregard this post and good luck in your search). 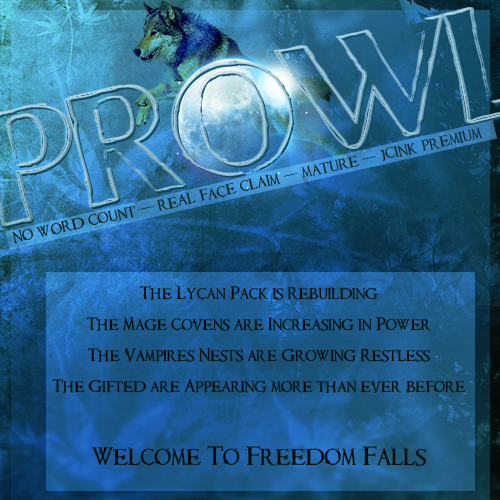 Prowl is an original modern fantasy rpg that is 18+. We have no word count requirement and a very lax activity requirement as well. I think that you'll fit in with our community because we have a very dedicated base of writers that love to plot and make lasting stories. If you're the type that likes want ads as well, we have quite a few that will jump start you right into the middle of some pretty great plots. I'll drop our ad below and if you have any questions feel free to let me know! We are an active community that doesn't demand rapid post and our plot is driven by character's themselves. You noted you like High or Low Fantasy and Star Wars? How about a middle magic Science Fantasy with neo-feudal elements? LiTS is an original game inspired by the likes of Game of Thrones, Frank Herbert's Dune, and countless other epic stories of personality. We are a no word count game with open rules on Face Lais, Animanga Images, and neither are required. Come and join the the Sovereign Game and make your name in the eyes of the Stars. Harken is a futuristic sci-fi- fantasy set in a unique world. We are a new and growing community that is looking for quality players who want to build and grow our community with us! We are a very relaxed, and mature group of players who don't like demands and requirements, and just want to write freely as desired. Also, space magic... nuff said.